Recently, scientists at Harvard University found that increasing the daily intake of fruit can prevent weight gain, even if you continue consuming the same amount of calories. Researchers suggest that all the benefits of eating fruits come from the flavonoids they contain. 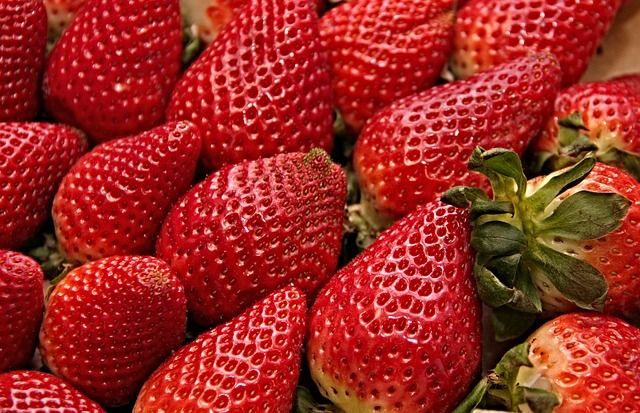 Flavonoids are a group of phytonutrients found in fruits and vegetables that impart colour. They are powerful antioxidants with anti-inflammatory properties. Fruits get a bad reputation because of their sugar content but they are actually vital for weight loss as they can help in controlling your calorie intake. You must include fruits in your diet if you’re looking to lose weight. Foods that are low on the glycemic scale are helpful for burning fat because they don’t spike your blood sugar. 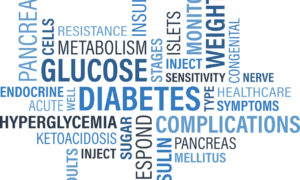 High blood sugar means high levels of insulin in the bloodstream, which means a higher incidence of fat being stored on the body. For this reason, reduce or eliminate simple sugars, processed junk food, and white pasta, bread, and rice and eat fruits instead. A lot of us may get carried away with the current juicing trend, and while there are many health benefits to drinking freshly squeezed fruit juices – if your goal is to keep your weight down, you must eat whole fruits. Juicing is a great way to detox, keep your body hydrated and increase the intake of potassium, iron, Vitamin A, Vitamin C and other minerals but it may not work for weight loss. Juicing leads to extraction of fiber from a fruit which is one of the most important components. A lot of studies and health experts agree that increasing your fibre intake can lead to weight loss. Fiber helps to slow down the absorption of sugar into the blood. It helps in improving digestion and keeps you satisfied for longer period of time. 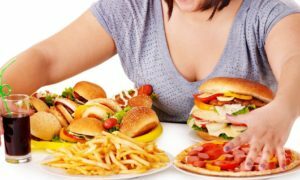 All of these factors contribute in managing your calorie intake which paves the way to reach your goal of burning fat and weight loss. Eating half of a grapefruit before each meal can lower levels of insulin, a fat-storage hormone, which can lead to weight loss. Because grapefruits are loaded with water, they keep you hydrated and satisfied, helping you eat less. 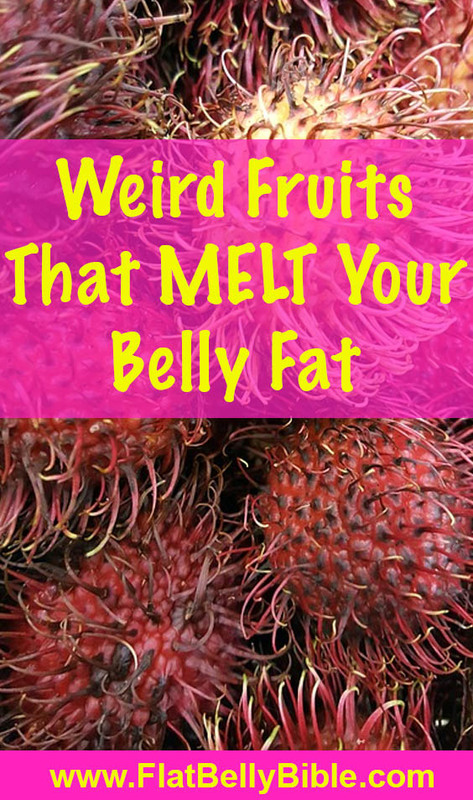 Plus, the fruit contains fat-burning enzymes, categorizing it as a weight-loss superfood. And because it takes more energy to digest this fruit, it helps you burn more calories. This fruit powerhouse also is a great source of protein, vitamin C, folic acid and potassium. 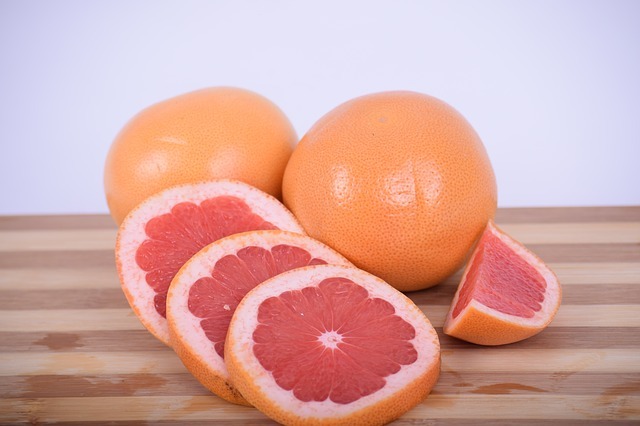 The effects of grapefruit on weight control have been studied directly – 91 obese individuals, eating half a fresh grapefruit before meals caused weight loss of 3.5 pounds (1.6 kg) over a period of 12 weeks. The grapefruit group also had reductions in insulin resistance, a metabolic abnormality that is implicated in various chronic diseases. Eating half a grapefruit about a half hour before some of your daily meals may also help you feel more satiated and eat fewer overall calories. 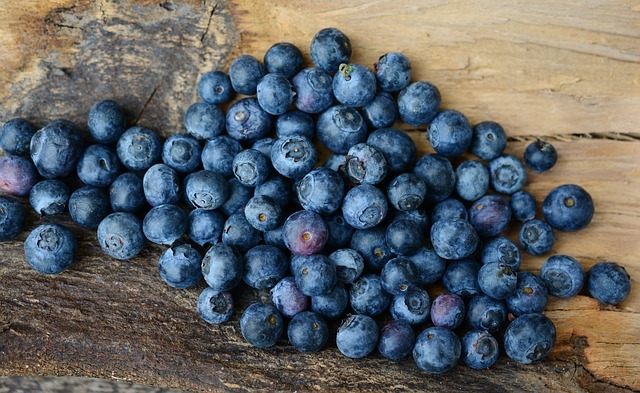 Blueberries help you battle body fat while decreasing cardiovascular disease and risk of diabetes. In a study by University of Michigan Cardiovascular Center rats reduced their belly fat by 2 percent when consuming a small amount of blueberries every day. The results are linked to high percentage of high antioxidants that rid your body of toxins that lead to weight gain and other health problems. Adding blueberries to yogurt of a bowl of cereal is an easy way to incorporate them into your diet. Blueberries are packed with nutrients and anti-oxidants, which helps them fight fat by boosting your metabolism and burning calories more efficiently. The health benefits of blueberries are due mainly to anthocyanidins. They are exceptional antioxidants found in red/purple fruits and vegetables, reported to be effective with a variety of health conditions. Blueberries are also a good source of vitamin C, which helps protect cells and aids the absorption of iron, and contain soluble fibre, which is beneficial to the digestive system. Fruits like strawberries and raspberries are low in sugar and also contain a lot of fiber, which makes them great fat burning fruits. They are also low in calories – one cup of strawberries contains 50 calories, and one cup of raspberries contains 65 calories. You may have heard that bananas are one of the “bad” fruits, but new research is showing that that is not true. One medium banana contains just over 100 calories and 3 grams of fiber. Bananas are filled with healthy fibers that help curb appetite and make the body burn fat. 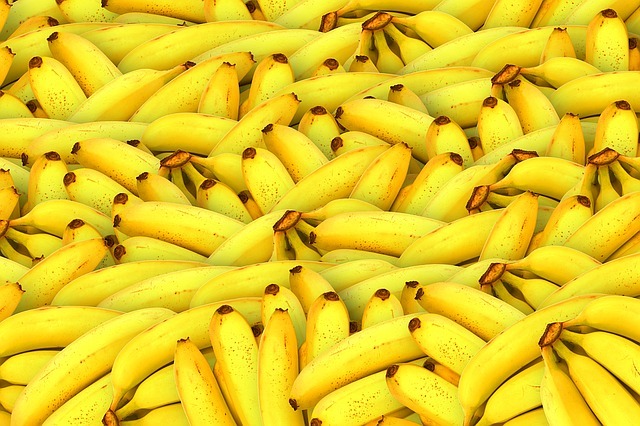 The indigestible fibers in bananas, or a resistant starch, block carbs from being absorbed by the body. This makes the body burn fat as energy instead of the carbs. Watermelon is a food characterized by its high water content and low calories. One of its primary characteristics is that it is a rich source of water because it is made up of 90 to 95% water. Because of this, watermelon is a natural and strong quencher. Watermelon contains significant amounts of a few micronutrients, including vitamins A and C and potassium. A 1-cup serving nets you 17 percent of the Daily Value (DV) of vitamin A, which is important for eye health and immune function.You’ll also get 21 percent of the DV for vitamin C, which is an antioxidant that plays a role in wound healing and helps enzymes do their jobs. There’s a little bit of potassium – 5 percent of the DV – in watermelon, too. 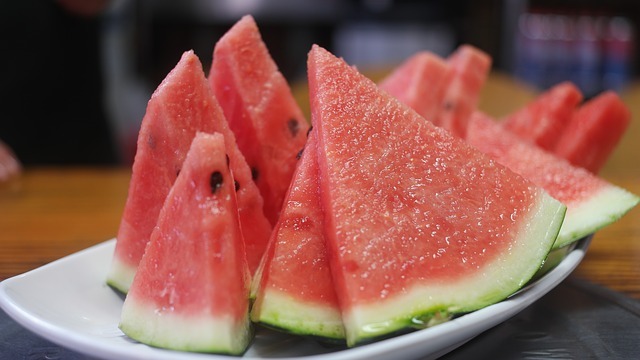 The high fluid content makes watermelon a low-energy-dense food. Foods low in energy density are perfect for helping you lose belly fat, because they provide fewer calories in a larger volume of food, which helps you feel more satisfied, so you eat less. At only 46 calories per cup of diced fruit, watermelon has less than half the calories of similar servings of many other fruits. Watermelon flesh is lycopene-rich, too. In fact, 1 cup of diced watermelon contains more than twice as much lycopene as a medium raw tomato. 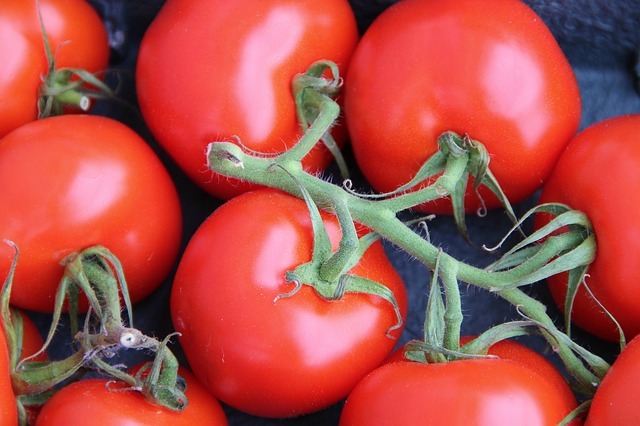 Studies suggest lycopene may protect against heart problems, diabetes, some types of cancers, and an eye disorder called macular degeneration. Apples are high in water content. Eat them with the peels for extra fiber, which will keep you full longer. Go for whole fruits rather than fruit juice. You’ll get more fiber, and you have to chew the fruits. This takes longer and you’ll burn a few calories chewing! 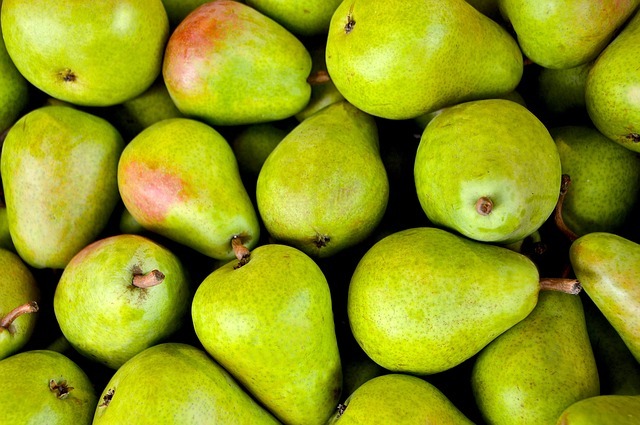 Pears are high in the fiber pectin, which has been shown to suppress appetite. Plus, all the fiber in pears helps keep you satisfied longer. And pears may reduce your cholesterol levels and your risk of coronary heart disease. Instead of turning to the vending machine, grab a pear—with the skin on so that you benefit from its filling fiber—to curb cravings. A great source of Vitamin C, pears are the perfect fruit for weight loss. They’re packed with fiber which keeps you full for longer as it gets digested slowly. Pears are also known to keep your cholesterol levels in check. Fruit or vegetable? This age-old debate continues but one thing is for sure – the humble tomato is essential for burning fat. Tomatoes are packed with a whole lot of vitamin c and phytonutrients that are essential to burning fat. Vitamin C is what enables our bodies to burn fat that is already stored with exercise. The phytonutrient caretenoid serves as an antioxidant for our body that helps with losing weight and cardiovascular health. With literally hundreds of varieties of tomato available, there are plenty of different tastes to keep you coming back for more. 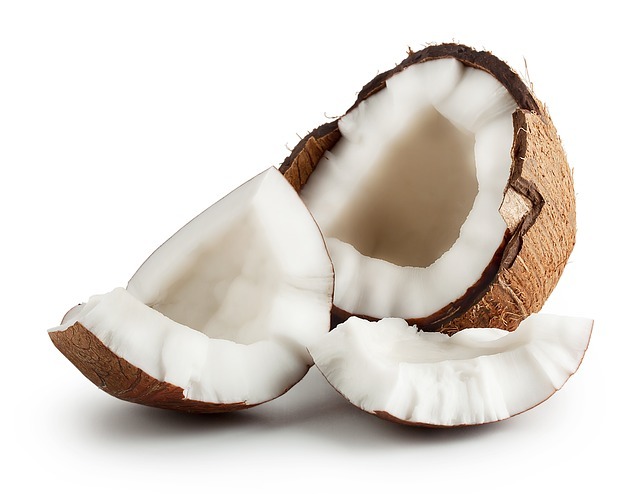 Coconuts contain medium chain triglycerides (MCFA) that raise the metabolic rate of the liver up to 30 percent. They are also a sweet and filling snack that you can replace with other junk food cravings. You can try coconut oil, coconut milk, coconut flour, coconut water or unsweetened shredded coconut. Dried coconut is also a tasty snack and can be added to all kinds of recipes to add a little flavor. Coconut oil is high in fatty acids of a medium length, called Medium Chain Triglycerides (MCTs). 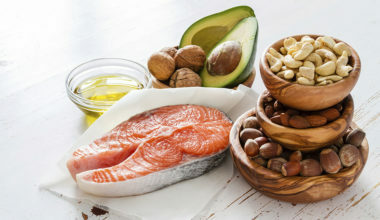 These fatty acids have been shown to boost satiety compared to other fats, as well as increase the amount of calories burned. There are also two studies, one in women and the other in men, showing that coconut oil led to reduced amounts of belly fat. Avocados are loaded with vitamins and minerals, and are incredibly nutrient-dense. Containing monounsaturated fatty acids, the same ingredient in olive oil, avocados can promote weight loss, reduce cholesterol, decrease your risk of breast cancer, burn belly fat, and improve the appearance of your skin and nails. A typical Avocado contain 4 g of protein, 15 g of carbohydrate and 31 g of fat, and are a good source of vitamins B6, C, E and K. They also provide you with folate, potassium, magnesium and lutein. According to the California Avocado Commission, a 1-oz. serving of avocado provides only 0.5 g of saturated fat and no trans fats or cholesterol. 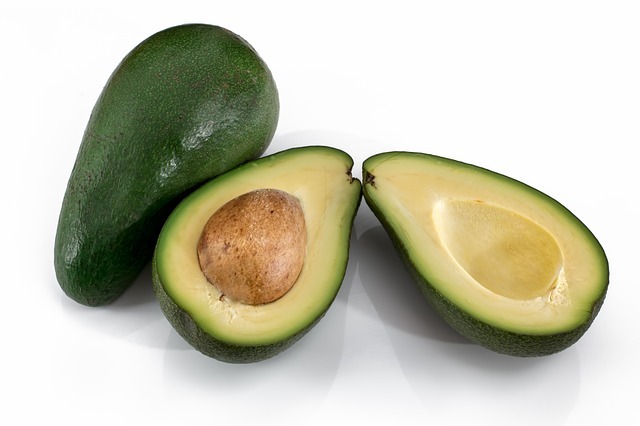 Avocados also contain a fair amount of niacin, riboflavin, copper, magnesium, manganese and antioxidants. If all those benefits weren’t enough, avocados contain almost 20 times more fat-soluble phytosterols than other fruits. Phytosterols are plant compounds believed to have positive effects on heart health. Another of the red-purple colored fruits, the color of pomegranate is thanks to its anthocyanin content. Pomegranate is a good source of fibre, and also provides vitamins A, C and E, iron, and other antioxidants such as tannins. 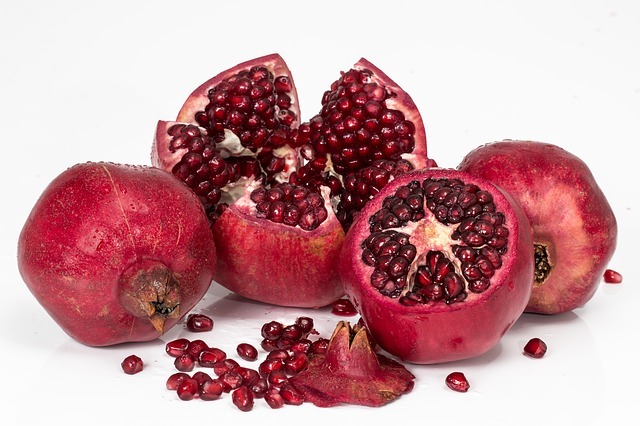 One study found that pomegranate helped to strengthen bones and prevent osteoporosis in mice through decreased inflammation and oxidative stress. Another study found that consuming 50ml of pomegranate juice per day reduced damage to arteries and cut cholesterol build-up in people with narrowed arteries. Grapes offer many essential nutrients. You’ll get a generous amount of vitamin K, which helps with things like healthy cell growth, and bone health. A cup of American-type grapes has 17 percent of the daily value for vitamin K, while European-type grapes have 28 percent of the daily value per cup. Grapes also offer a modest amount of dietary fiber, a nutrient linked to weight loss. 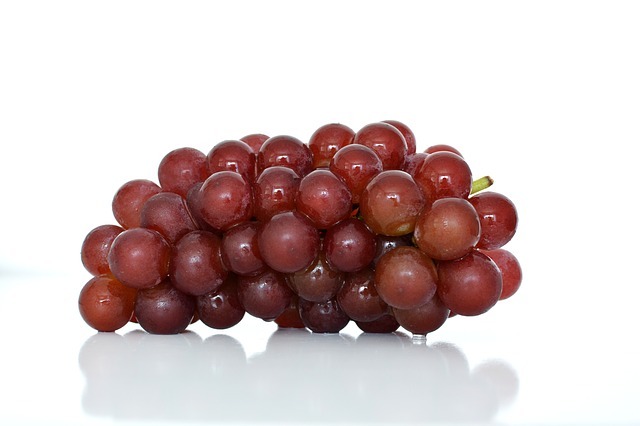 Red and purple grapes are also a primary source of Resveratrol. Resveratrol is best known as a beneficial compound in red wine, but it’s found in red and purple grapes too. And grapes’ natural resveratrol might help you shed pounds, according to a preliminary study published in the International Journal of Sports Nutrition and Exercise Metabolism in 2014. The study looked at the effects of a resveratrol supplement on muscle metabolism and found that resveratrol boosted energy expenditure in muscle tissue. In other words, it helped the study subjects burn more calories throughout the day, because their muscles used more energy. Another study, published in Cellular Physiology and Biochemistry in 2015, found that resveratrol might help insulin resistance, a precursor to diabetes. 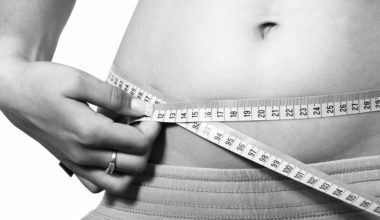 That might be important for weight loss, since insulin is tasked with controlling your blood sugar levels. When your body can’t respond to insulin properly, you’re more likely to experience blood sugar spikes and crashes that leave you hungry. The study found that resveratrol might help you respond properly to insulin, which would in turn regulate your blood sugar levels and fight cravings and hunger. 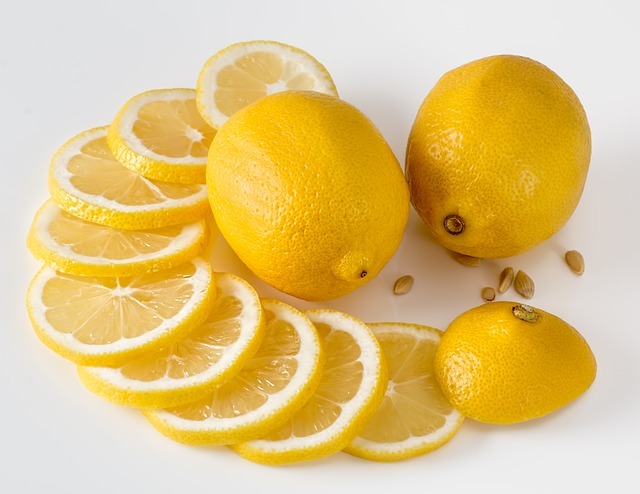 Although lemons are very acidic, they have an alkalizing effect on the body once they are ingested. 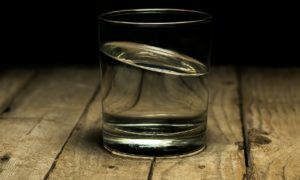 Being overly acidic is one suspected cause of weight gain and bloat, plus achy joints and fatigue. Squeezing fresh lemon juice into water, or over salads and seafood every day is a great way to give your body a vitamin C boost and a great dose of “alkalizing” action that will help you lose weight faster. While limes won’t raise your metabolism, they are a wholesome, low-calorie food and a brilliant way to add some flavor to other low-calories dishes and recipes. 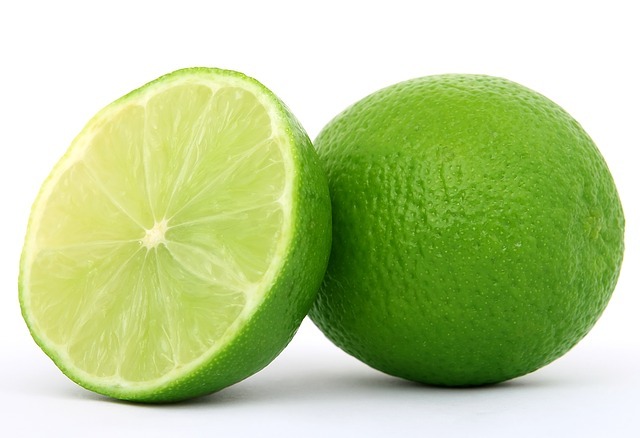 An entire lime contains only 20 calories, approximately one-tenth of a gram of fat and no saturated fat, according to the Fat Secret nutrition information database. A single lime also provides 23 percent of your daily value for Vitamin C, an important nutrient. Vitamin C plays an important role in helping your body break down fat during exercise, and low levels of vitamin C may limit your body’s ability to break down fat when working out, according to a 2006 study published in Nutrition and Metabolism. Limes can be sliced or juiced and added to water like lemons, and offer similar benefits to lemons for your digestive system. Red and Purple colored fruits are especially good for fat burning & weight loss. That’s because the color is caused by higher levels of nutrients called flavonoids – especially anthocyanins – which calm the action of fat-storage genes. 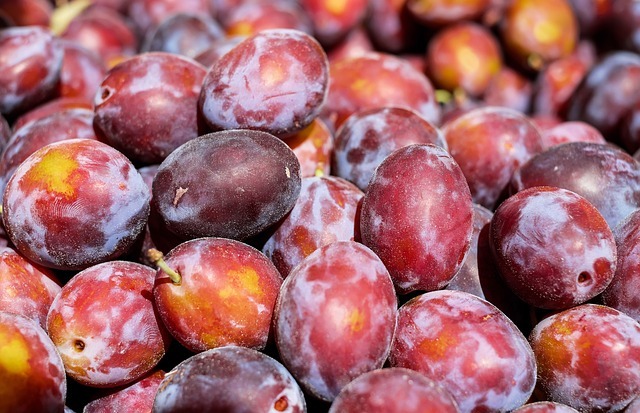 In fact, red or purple stoned fruits like plums boast phenolic compounds that have been shown to “turn off” fat genes, and from pectin – a gelatin-like type of fiber found in the cell walls of fruits that limits the amount of fat your cells can absorb. Peaches are one of the sweeter tasting fruits, but they are still low on the glycemic scale. The also contain fiber, potassium and powerful vitamins like A and C. One medium peach contains approximately 60 calories. With 2 grams of fiber, the average peach is definitely part of a healthy, high fiber diet. Further, high fiber diets are also known to lessen the risk of colon cancer. The health benefits to these widespread and delicious fruit are many. 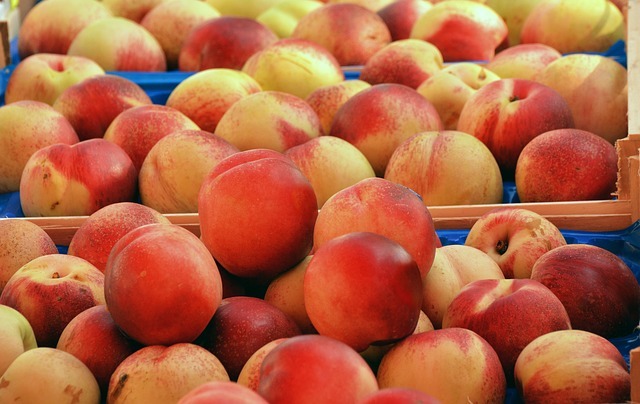 According to MedicalNewsToday, a study from Texas A&M revealed peaches (and similar stone-fruits) are able to assist in the prevention of obesity-related diseases like cardiovascular disease, metabolic syndrome, and diabetes. 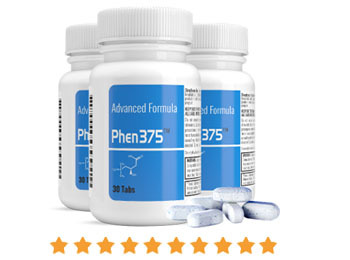 This is due to the phenolic compounds within and also their ability to reduce LDL cholesterol associated with heart disease. 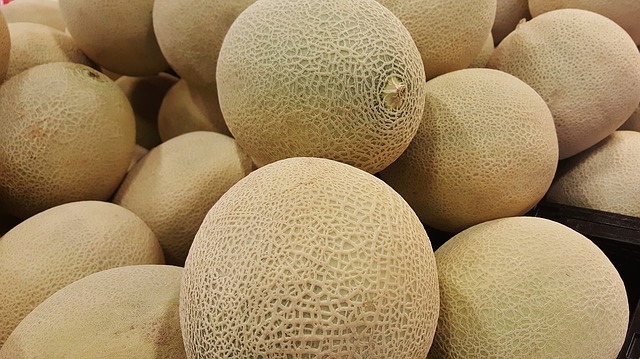 One cup of canteloupe pieces contains only 60 calories, is low on the glycemic scale, and provides more than 100% of the recommended daily amount of vitamins A and C.
Canteloupe is relatively unappreciated but is without doubt one of the best fat burning fruits! Oranges have a similar effect on the body as lemons and grapefruit, but they are a little sweeter so you’ll want to eat them in moderation. One medium orange contains only 85 calories, and it’s a very satisfying snack. 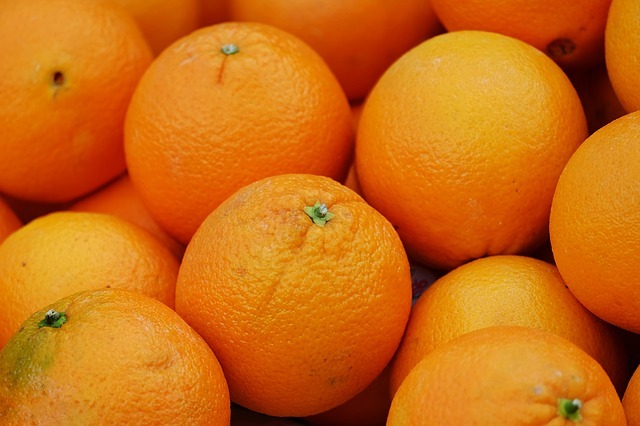 Oranges are also loaded with vitamin C, plus smaller amounts of vitamin A, calcium and iron. 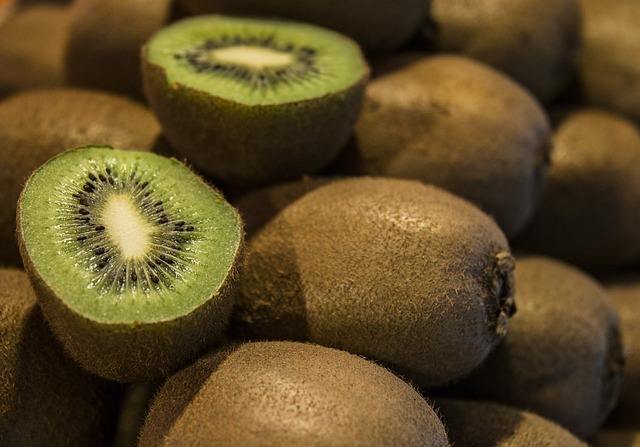 Kiwis carry a lot of nutrition in a small package. They are literally filled with fiber. All those little black seeds combine for a good dose of insoluble fiber, which aids digestion by decreasing the transit time of stools through your system. But kiwifruit also offers soluble fiber, providing bulk that promotes the feeling of fullness – a natural diet aid. By creating gel-like substances that trap bile acids, it has the potential to reduce blood cholesterol levels. Kiwis are also brimming with vitamin C, and boast ample amounts of magnesium and potassium. Kiwi also contain a natural enzyme that helps the body digest protein.They truly are one of the most beneficial fruits given their relatively small size. A single mango is capable of providing of almost a day’s supply of Vitamin C to the body. It also helps in making bones stronger since it contains minerals, calcium and magnesium as well as B vitamins. They are also rich in a carotenoid called lycopene, which is an effective antioxidant. Mangoes also have a high content of beta carotene and rank among the top providers of beta carotene. However they are also a great source of nutrients in the concentrated form. In order to reduce the consumption of calories, mangoes are a very good choice. Each 1-cup serving of mango has 2.6 grams of fiber, or about 10 percent of the daily value for fiber. Mangoes have 0.6 calorie per gram, making them very low in energy density. 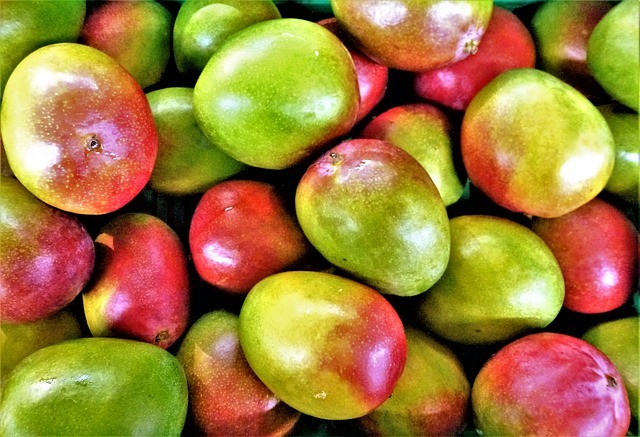 Lower energy density foods like mangoes have less calories per gram, which tends to make it easier to lose weight because you can fill up on fewer calories than if you ate foods higher in energy density. It could easily be called a “crazy” fruit, as its appearance is so improbable. 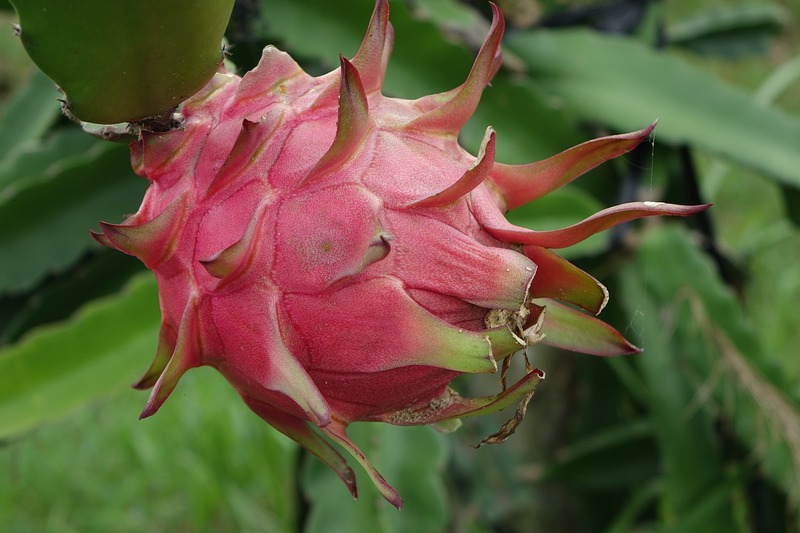 Dragon fruit is low in calories yet offers numerous nutrients, including vitamin C, B vitamins, phosphorus, protein, calcium, fiber, captin, and antioxidants. 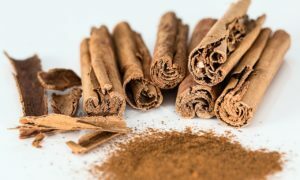 It’s proven to lower blood sugar levels as well as blood pressure, strengthen bones and teeth, promote healthy blood and tissue formation, strengthen the immune system, heal bruises and wounds faster and prevent respiratory problems. 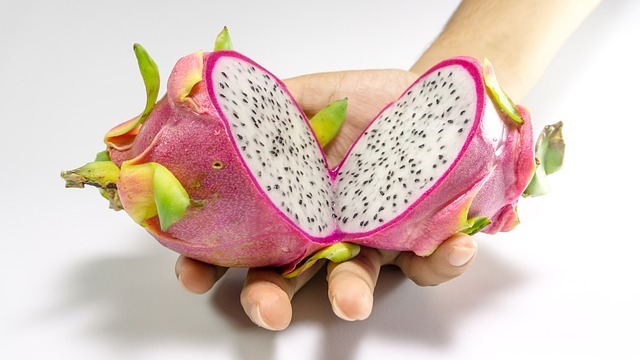 Like other red fruits, dragon fruit contains lycopene, which helps protect against cancer and heart disease. How can all these benefits be taken advantage of in this visually beautiful, exotic fruit? It’s best eaten chilled, chopped into cubes and added to fruit salad or blended into a refreshing drink or smoothie. This may become your new favorite fruit! Each large fig weighs 2.2 ounces and contains 47 calories. Each large raw fig supplies 1.9 grams of dietary fiber, or 8 percent of the daily value based on a 2,000-calorie diet. Consuming a high-fiber diet can help prevent obesity, but most Americans do not meet recommendations for fiber consumption. 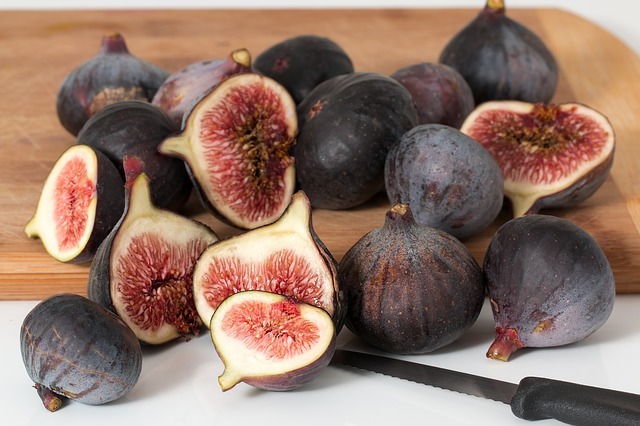 Figs contain a lot of fiber and a helpful digestive enzyme called ficin. It metabolizes protein into amino acids. This means that regular consumption of figs promotes a healthy digestive system. Digestive enzymes use saliva to break down food starches into smaller molecules. Ficin also contributes to the laxative properties of figs. The Fig is also a repository of various nutrients. Fresh figs are simply invaluable. 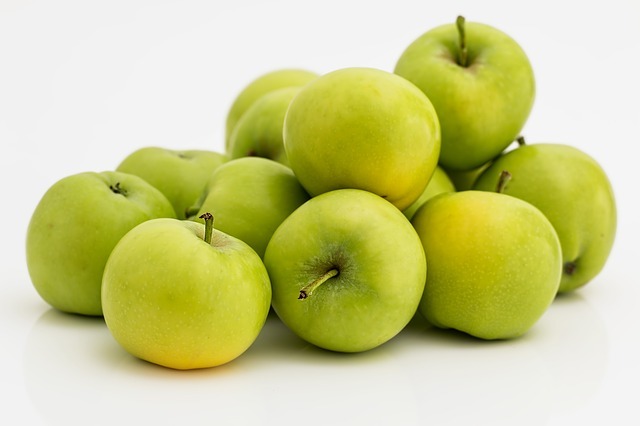 They contain proteins, cellulose, pectin substances, organic acids, vitamins A, C, B1, B3, PP. Also, figs are rich in sodium, potassium, calcium, iron, magnesium and phosphorus.Iron and phosphorus are needed to maintain the work of the heart muscle, health-improvement, and to strengthen the immune system. Raspberries are known for being low in calories and fat. A cup of raspberries contains 50 calories and no fat. Raspberries are very high in fiber, containing 8 grams per cup. They’re also a good source of vitamin C, the B vitamins, folic acid, manganese, copper, magnesium and iron. Eating 1 cup of red raspberries provides half of the recommended amounts of vitamin C, 60 percent of the RDA for manganese and 33 percent of the RDA for fiber. Raspberries are very low on the glycemic index. They rank as a 3 in glycemic load, making them a low glycemic load food. Low-GL foods have little impact on blood sugar, helping to prevent the blood sugar from spiking. Low-GL foods not only help stabilize blood sugar but, Dr. Mabel Blades writes in “The Glycemic Load Counter,” can help make weight loss and management easier. 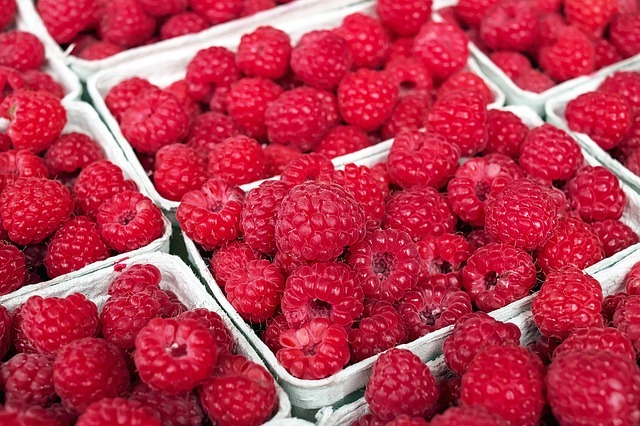 Raspberries are high in antioxidants, which help prevent damage from free radicals in the body. Raspberries are rich in the flavonoid called anthcyanins. Anthcyanins help prevent the growth of bacteria and fungi in the digestive tract. 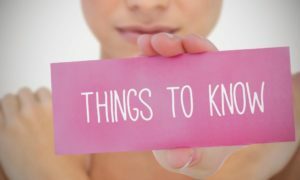 Most interestingly for people trying to lose belly fat, raspberries have recently been shown to contain a natural substance called ketones, which are similar to capsaicin, the compound that gives hot peppers their fire. Animal studies have found that raspberry ketones prevented an increase in overall body fat and visceral fat, the deep internal belly fat considered to be most dangerous due to its relationship to an increased risk of heart disease, type 2 diabetes and certain cancers. Don’t forget to share on Facebook and Pin on Pinterest! 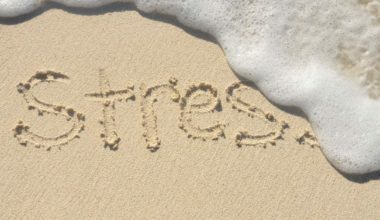 10 Easy Ways to Improve Your Health Now!